These days, the line between DJing and producing is increasingly blurry. 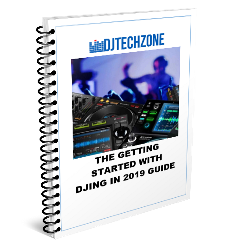 Many of today’s top DJ’s are producers in the first place. And if you want to seriously make a name as a DJ, you better produce some top charting tunes. 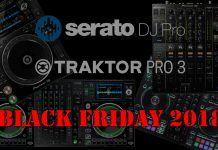 Serato knows this and is about to launch a DAW plugin that draws strongly from their experience with DJ software. The Serato Sample DAW plugin using technologies such as Pitch ‘n Time known to users of Serato DJ to allow producers to manipulate samples beyond recognition. Let’s review the key features. Works in leading music production software: including Ableton Live, FL Studio, Logic Pro and Maschine. Flawless key detection and shifting: find the key and then shift it with the power of Pitch ‘n Time. Find the best samples with Autoset: with one click our algorithm finds 16 of the best samples to work with. 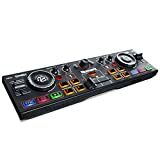 Familiar Cue Point workflow: use Serato DJ’s popular Cue Point workflow to set and trigger pads. Change samples beyond recognition: manipulate each pad individually. Mess with key, bpm and more. Serato’s famous colored waveforms: visually understand tracks without having to listen to them. Red for bass, blue for highs. Jump around tracks with ease: find what you’re after with waveform scrub and needle drop. 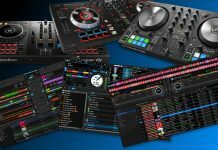 Is Serato DJ starting to build a DAW ecosystem and is this plugin the first try-out? I don’t know, but it would make a lot of sense. As said, many producers are also DJ’s and vice-versa. 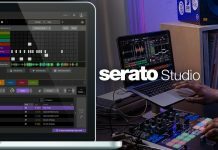 Offering production tools could bring producers into the Serato DJ world and at the same time make it easier for DJ’s to start producing, as the interface of Serato Sample will feel like home. The plugin will be launched later this year and will cost USD 99.